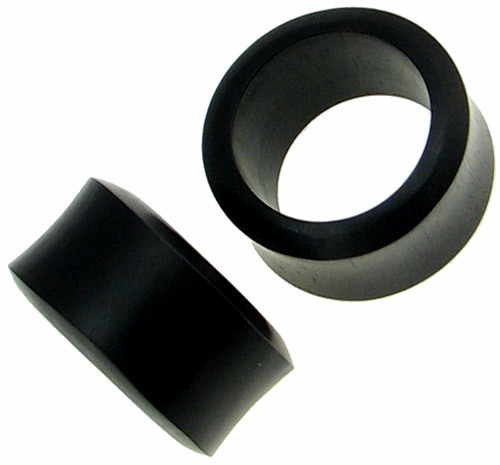 Hollow ebony wood tunnels look great in large stretched piercings. These gauge plug eyelets can be worn alone or with other earrings inserted through the hollow center. 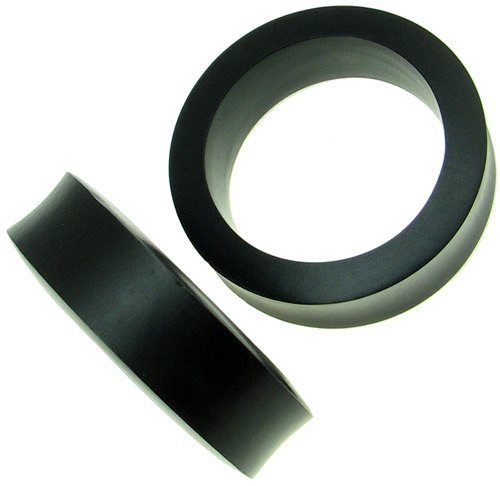 Normally available in 6 gauge up to 2 inch diamter sizes. Ebony wood is dark brown to black with occasional lighter brown areas. 0 gauge 5/8 inch 1 inch (+$19.00) 1-1/8 inch (+$21.00) 1-3/8 inch (+$24.00) 1-1/2 inch (+$27.00) 1-5/8 inch (+$27.00) 1-3/4 inch (+$34.00) 1-7/8 inch (+$34.00) 2 inch (+$47.00) Select your size and click "Add to Cart".